Virtualization can offer significant benefits for businesses with large amounts of data. This IT strategy involves creating a virtual machine with operating system-like capabilities to store and run large applications. This effectively separates the software that these machines are running from the hardware underlying their functionality. 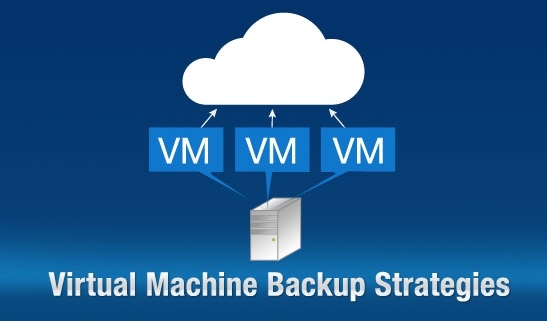 When businesses make use of virtual machines, they often put together a cloud backup strategy to go along with their new technology options. For these and numerous other reasons, many businesses are finding virtualization to be a great way to facilitate working IT solutions. Virtual machines offer the flexibility and reliability that businesses need to cut costs and increase the efficiency of their transactions. The impulse for backing up data on virtual machines is basically the same as that for backing up physical servers. The duplication of data in different locations makes a network much less vulnerable to data losses. If one portion of the virtual storage were to go down, copies of the files would still be present elsewhere and no data would actually be lost. That said, there are some differences in the strategies for backing up data contained in virtual vs. physical servers. Although it may seem counterintuitive, virtual servers generally contain much larger files than do traditional servers. This is because VMs are usually brought into the picture when the amount of data contained in physical servers becomes too large to manage effectively. In addition, each VM itself is essentially a large file. This file can be described as a reflection of the overall state of a VM at a given time. The VM should be continuously backed up in order to keep track of changes that occur to its state. It is often a good idea to back up a virtual machine as a whole. For one thing, if a virtual machine needs to be restored, it has to be recovered as a whole. Single files within the machine are unrecoverable in themselves. The restoration process will involve restoring the VM, remounting it and then regaining access to the file. Given that the entire state of a virtual machine at a given time is stored as a single, very large file, it makes sense to back up that entire file. However, this can place increased demands on network and storage. For this reason, it’s important to use the backup services of a company that specializes in backing up entire VMs such as VMware and HyperV. Cloud backup is often the preferred method, since it avoids placing overwhelming demands on traditional servers in ways that could negatively impact the functioning of other VMs. Overall, with expert providers assisting with the backup process, virtualizing business data and applications can be extremely beneficial. With a decreased need for physical servers even as the volume of data grows, businesses can cut costs and manage their IT resources in more flexible ways. 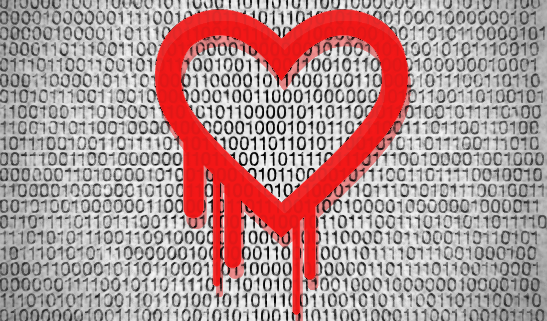 KineticD & Security: Why your backups were not affected by Heartbleed. As you may be aware, a major vulnerability code named Heartbleed recently been discovered for OpenSSL, the popular encryption software that powers two thirds (2/3) of the Internet. Since KineticD only relied on OpenSSL for our marketing portals, none of your data was ever at risk. Military Grade Encryption: Your data is encrypted using military grade 448 bit blowfish encryption before it leaves your machine, in flight (over the internet) and at rest (when its stored in our servers). Industry Leading Data Centers: Our state-of-the-art data centers are guarded 24x7x365 with uniformed security guards, CCTV cameras throughout, door entry-card access and fully redundant power supplies. ITL-Based Compliance Audit Procedures: Our data center recently passed an external audit which awarded us with the SSAE16 certification of compliance. If any of your other online vendors have been impacted by Heartbleed and you use the same password for both KineticD and them, we recommend changing both passwords. As a best practice, your password for KineticD should be unique and contain at least 6 characters, with capital letters, numbers and symbols. https://datadepositbox.com/wp-content/uploads/2014/04/kineticD-Cloud-backup-blog-heartbleed.png 335 547 datdepbox https://datadepositbox.com/wp-content/uploads/2018/08/datadepositbox-logo.png datdepbox2014-04-16 16:25:482014-04-16 16:25:48KineticD & Security: Why your backups were not affected by Heartbleed. Data is quickly being recognized as the lifeblood of business. For many, it’s their most valuable business asset. Customers are often more willing to give you their money than they are to give you their personal data. That alone speaks to its value. Yet like any other asset, customers won’t trust you with their stuff until you’ve demonstrated a reliable means to protect it. For business data, that means a secure data backup solution that’s easily manageable. Yet just like stuffing your money into your mattress isn’t a reasonable long-term solution, neither is storing your backup data solution solely on site. We’re talking potential terabytes of data here, enough to quickly have your virtual mattress bulging. That’s why you’re seeing so many corporate data centers utilizing cloud storage. Copies are sent off-site to your cloud provider, freeing you from the task of having to worry about daily backup administration (particularly helpful if IT just isn’t your thing). Once you’ve undergone that initial installation and integration with the cloud, backup data integration concerns disappear into the virtual night. Such a service is affordable and easy to implement within your current framework. However, pure cloud backup solutions aren’t without their occasional tempests. You have to have a large amount available bandwidth so they don’t monopolize your network connections. Some cloud providers can really throttle that bandwidth when you need to restore your data, meaning that recovery time takes that much longer. A better solution would be to have storage both in the cloud and on your main server, providing you protection on both ends. 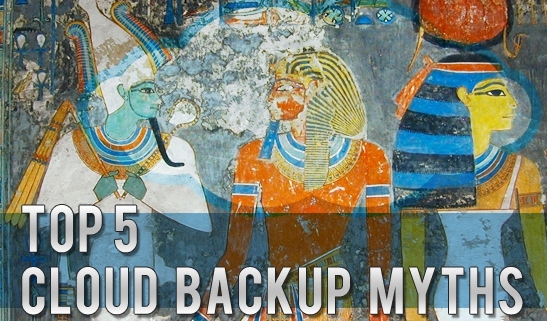 What is a Hybrid Could Backup? A hybrid backup strategy offered through KineticD does just that. We present you with a network-attached storage (NAS) appliance attached to your on-site area network. It’s set up with its own IP address and can provide data storage to any of the other devices on the network. 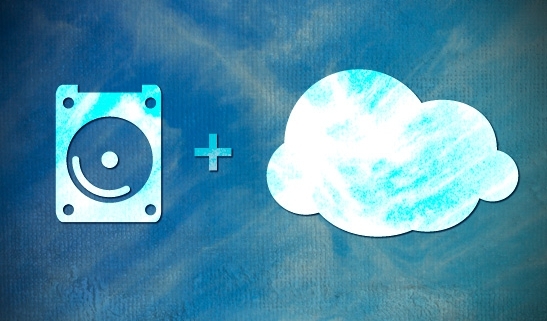 The NAS synchs your backup data to the cloud. When restoration is needed, all of the data is still on-site in the NAS, or it can be recalled directly from the KineticD cloud server to the NAS appliance. Local availability with cloud maneuverability: You get all of benefits of freed storage space, secure mobile access, and continuous data protection that come with the KineticD cloud, along with our lower costs. All of this is yours with the added peace-of-mind of knowing that your data is still safely retained behind your firewall. Improved scalability: You can easily allocate resources to the cloud for short-term projects. This will cost you much less than having to make changes to your own infrastructure. Conservative flexibility: If your management team is one that is reluctant to embrace new technology, a hybrid cloud strategy is a great way for your company to test the cloud computing model. Let’s face it: too much of anything can be a bad thing. Just as you don’t want to tie up storage space on your server by keeping your entire backup solution on-site, you also don’t want to have to rely on your cloud provider to assist with restoration (no matter how reliable they may be). The hybrid cloud strategy offered through KineticD is the way to go, offering the best of both worlds when it comes to data retrieval. This still lets you outsource your backup administration while still having it all synched safely in your NAS. If you have questions about how to protect your important data using the cloud, call KineticD at 1.866.430.2406 or email us at sales@kineticd.com for more information. Unless you’re in the IT business, the job of managing your own server is more of a tactical nightmare than a comforting dream. Even if you have a dedicated IT staff on hand, do your really want them focused on the busy work of data backup when their skills could so easily be employed elsewhere in improving your operations? The hosted cloud service through KineticD can take that task of server maintenance and backup off yours and your IT team’s hands, allowing you to focus all of your efforts on those core business strategies that are really important. Now wait a minute: your company may be perfectly content struggling through the monotony of maintaining your own network server. Why invite the concern that’s sure to come with trusting your business data to a third party? The answer is simple: because you can. Server maintenance often equates to mindless work. If all that you’re getting from that is decreased storage capacity on your server, why bother when a better option is out there? Our cloud backup strategy offers your company a wealth benefits compared to the model you’re currently following. After a careful review of how this can increase your overall effectiveness, you’ll be left wondering why you haven’t embraced cloud technology before now. Price: The first thing that everyone wants to know is how much it will cost. Well, the good news is that with cloud hosting, you only pay for those services that you use. Compare that to having to buy new hardware or lease extra space with a server farm. You can also allocate resources to the cloud as you take on new projects, potentially saving you the hundreds of thousands of dollars often required to update your own infrastructure. Flexibility: By placing your data in the KineticD cloud, you essentially make us an extension of your IT department. This gives you access to knowledge and expertise regarding new products and technologies that can enhance your businesses performance. If those technologies are integrated into our cloud server, you enjoy their benefits at no added cost. Adding and removing service aspects from your service package can be done seamlessly. This scalability offers you levels of customization that you could previously only dream about on your own. Security: Your business data is an extremely valuable asset. Allowing outside eyes to have access to it requires a great deal of up-front assurances that security within the cloud is tight. Advances in cloud technology allow us to offer such assurances and the capacity to meet them. Because new technology can be so seamlessly integrated into the cloud environment, hosting services such as ours always have access to the most state-of-the-art security measures. Through the adaption of these news technologies, as well as the sharing of best practice information between cloud hosting providers, hosting security has never been stronger. For you, IT may seem totally ET. Why then not allow us to take the maintenance of those components of your system that can be moved to the KineticD cloud off your hands and into our care? With our assistance as your cloud hosting service, concerns regarding the performance of your server or the restoration of your data after a loss will virtually disappear. If you haven’t noticed it yet, the future of server performance lies up and away in the cloud. It’s time you take yours there. Similar to other new and innovative technologies, the cloud has many people confused or hesitant to take advantage its awesome capabilities. It was only a few years ago that the cloud made its way into people’s lives, and it is revolutionizing the way that people store their data. Cloud backup options provide professional caliber protection for personal or business information on almost any budget. Since the cloud operates remotely, it may make sense that it would naturally be too slow and inconvenient to be used for backing up more files than just a few documents. Wrong! The internet has come a long way since the dial-up days of yore and most internet providers can now handle huge amounts of data. It is true that if an individual or business would like to backup an entire hard drive, the initial process can take several hours or days, but after that, the process of performing a daily backup is a matter of minutes. It is a good idea to have a local backup for immediate needs, but it is crucial to have an off-site backup. Since the cloud is accessible from anywhere with an internet connection, it is the ideal place to store essential computer data. Even people who have discovered how awesome the cloud is can be misled into thinking that all remote backup services provide the same features. On the contrary, there are dozens of different remote backup solutions. One of the most pervasive myths about cloud storage is that it is too expensive compared to other services. This is absolutely not true. Large companies and individuals alike can have their data protected for as little as $4 a month. 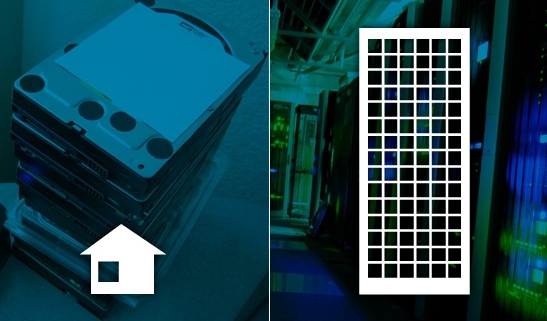 When compared the cost of recovering lost data, a proactive backup is much more affordable. The choice is clearly in favor of the cloud. One of the scariest myths and probably the one that has prevented the most people from trying out this new technology is the idea that the cloud does not provide secure protection for sensitive information. While it may seem like the web is flighty and full of hackers and opportunists, online banking, shopping, and bill pay have proved otherwise. The right backup service provides just as much protection for sensitive files as banks do for their clients’ money. These myths will likely go the way of the dinosaurs as soon as people come to realize that cloud storage and backup options are the wave of the future. If you have questions about how to protect your important data using the cloud, call KineticD at 1.866.430.2406 or email us at sales@kineticd.com for more information.